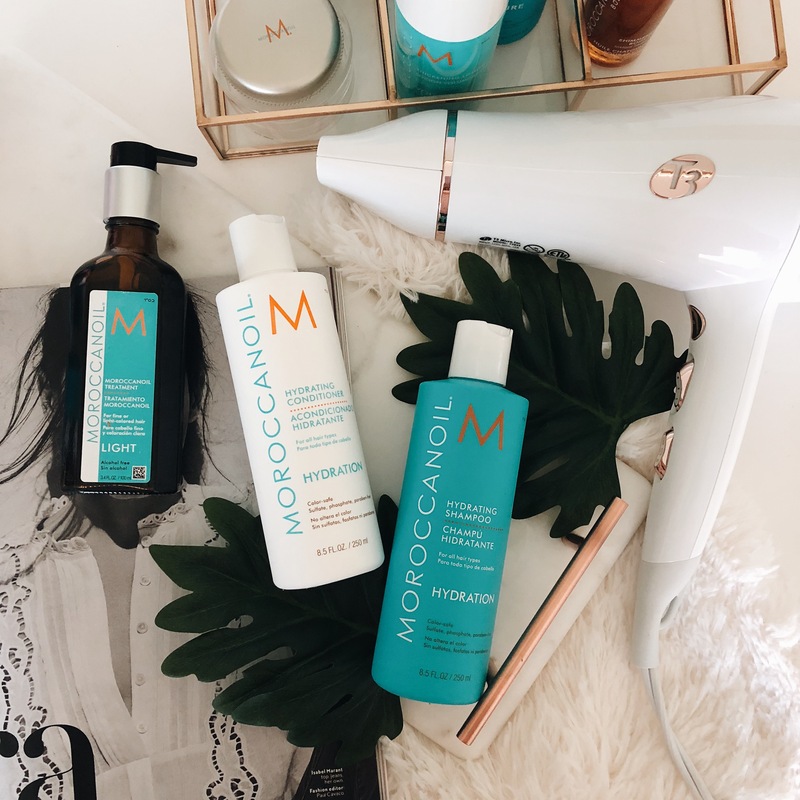 Moroccanoil Treatment- This is the first product I tried and to say I'm obsessed is an understatement! This treatment has completely transformed my over processed and damaged hair. I don't go a day without using my hot tools and therefore my hair was continuing to look damaged and dry. Once I started using this product on the ends of my hair I immediately saw a difference and now I'm hooked. It brought life back to my hair and is a must have for anyone looking to improve the quality of their hair. I even began using it on my daughters long hair to keep it healthy and to prevent tangles. If there is one product you need for your hair it's this one! Hydrating Shampoo- Okay this shampoo is absolutely amazing! It completely hydrates my dry hair without making it greasy and flat. It has now become my go to everyday shampoo. Hydrating Conditioner- I love this conditioner! I have oily and fine hair so the word hydrating was a little worrisome as I thought it would be extra creamy and would weigh down my limp locks. To my surprise it is very lightweight yet very hydrating leaving my hair healthy and moisturized. The perfect compliment to the hydrating shampoo. Thickening Lotion- Since I have very fine hair I'm always on the look out for great products to thicken and add volume to my hair. And this product did just that! With two pumps of the lotion on damp towel dried hair and a quick blow dry it added long lasting volume to my hair. I'm definitely going to continue using this product! Dry Texture Spray- Another great product that added texture and volume to my hair! I've been using it at the root and all over to prep my hair prior to curling it but it can also be used as a finishing spray to add texture. Shimmering Body Oil- The perfect product for Summer and a new favorite of mine! This oil not only nourishes my skin but adds a perfect touch of shimmer. It absorbs easily into the skin and lasts all day. I just recommend washing your hands after applying. Body Butter- Another great product and the only negative thing I have to say is that there's not enough product in the container! This body butter is extremely moisturizing and although it can be used everywhere it has completely transformed my dry feet. And now that it's sandal season it's become a new must have product for me! Shower Milk- Honest review- I'm not a fan of the strong floral scent. Although this product was extremely moisturizing and left my skin very soft the floral scent was too strong for my taste and I prefer a more subtle clean smell. Hand Cream- I'm not usually one to consistently use a hand cream but I had to give this one a try. Although the floral scent is not my favorite it definitely moisturized my hands and is a great quality product. There you have it- my full product review! 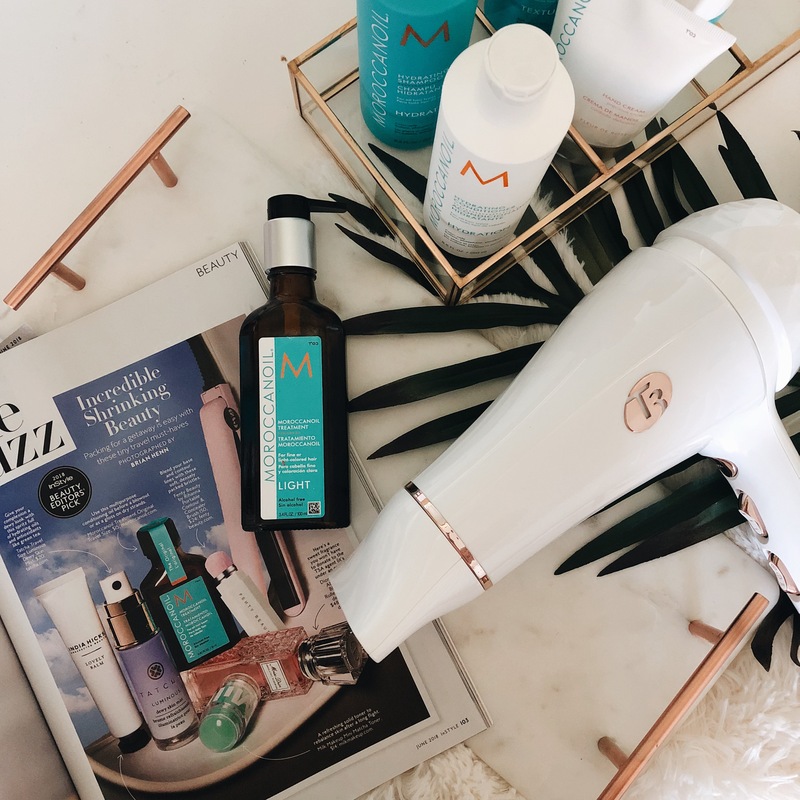 As you can see I'm now totally hooked on Moroccanoil and can't wait to try more products. 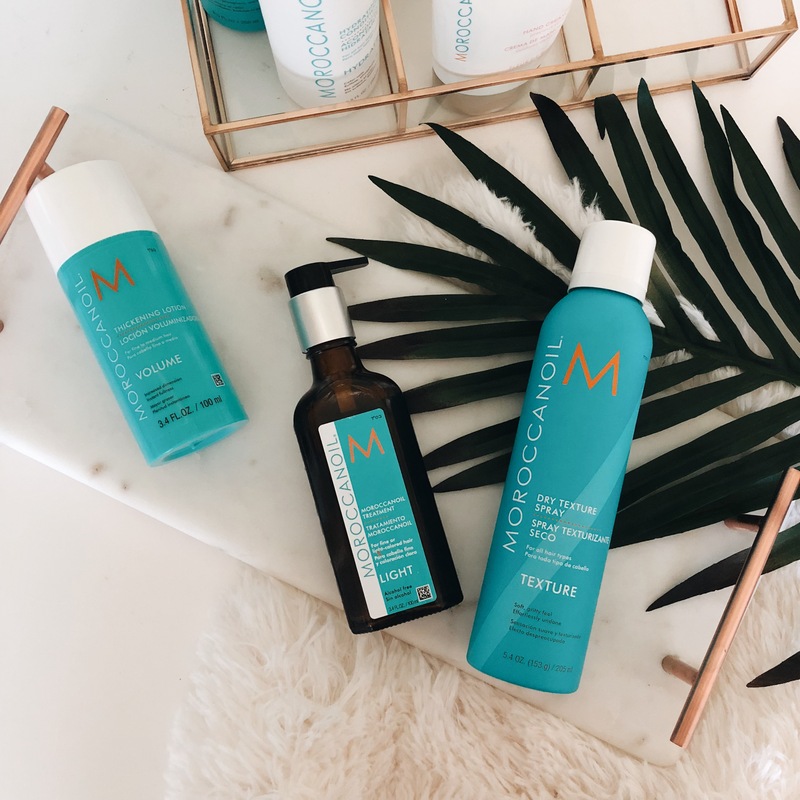 But if there is any one must have product for everyone it would have to be the Moroccanoil Treatment. There is a reason that it comes so highly recommended and has received so many beauty awards!! 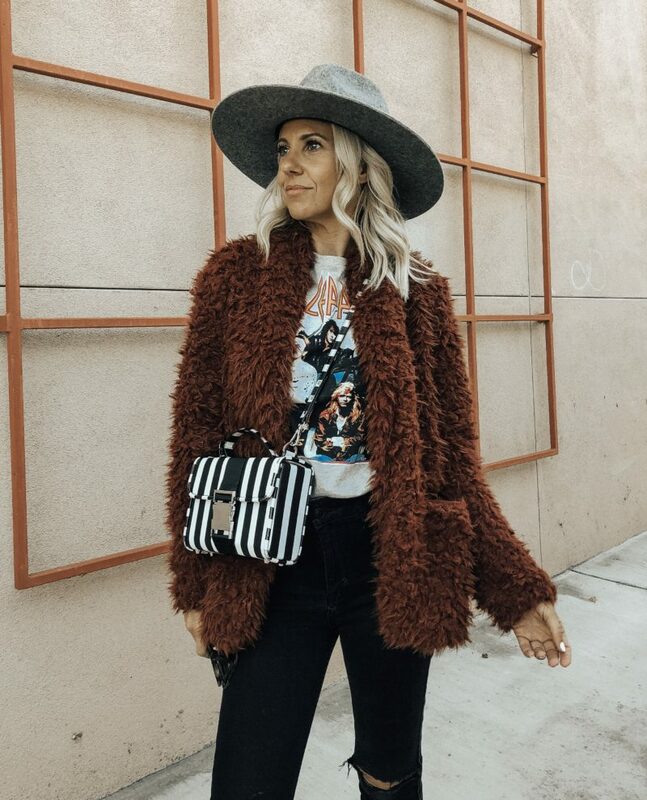 Stay tuned for a giveaway coming later this week where one lucky Instagram follower will receive the amazing treatment oil as well as the hydrating shampoo and conditioner! Thanks for stopping by and as usual all the opinions are my own! 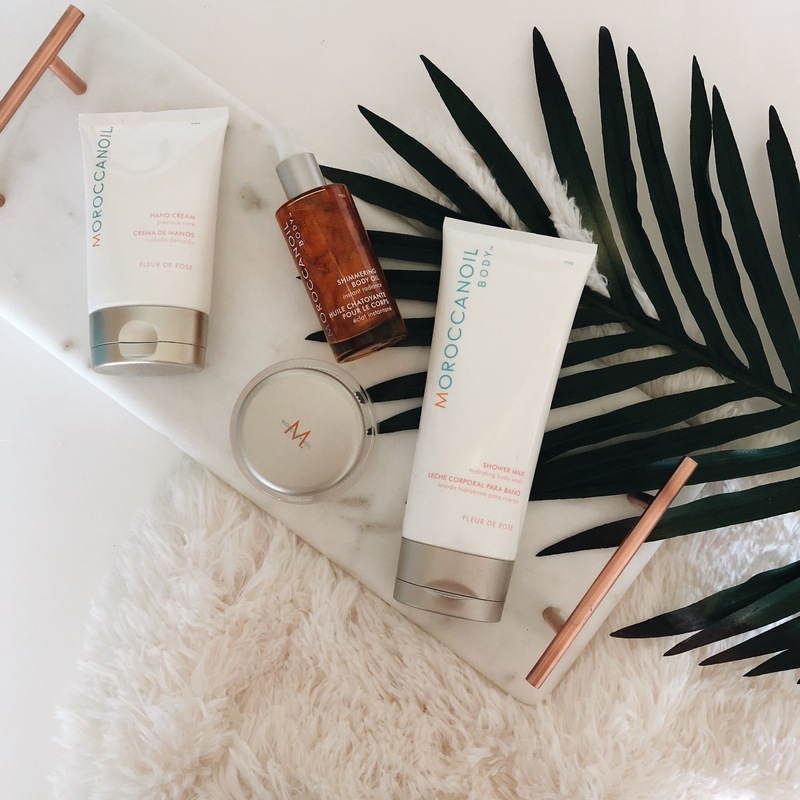 A big Thank You to Moroccanoil for collaborating on this post!